This incredibly versatile table has an exceptionally broad lifting range, from a low of 10" to high of 48". It has a huge load capacity of 350lbs. Its built-in Electric receptacle (installed on one end), is a very convenient power source solution for your nail grinder, dryer and clipper. Overhead H frame grooming arms included. 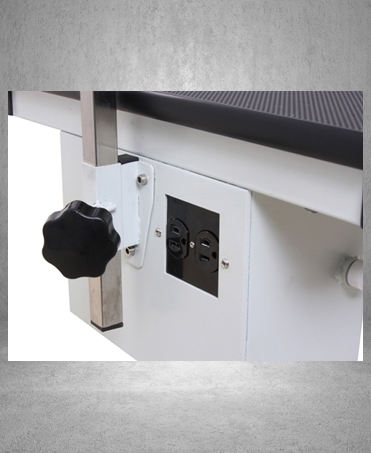 Optional at additional charge: Center Mounted Turntable rotates 360 degrees. 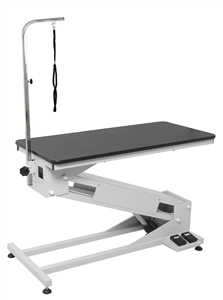 Eliminates the constant need for walking around the table or having to re position your subject.